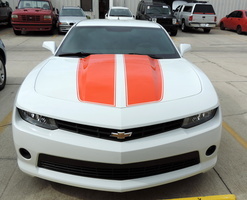 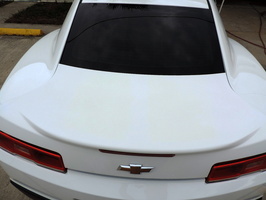 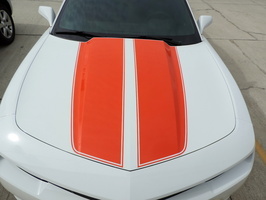 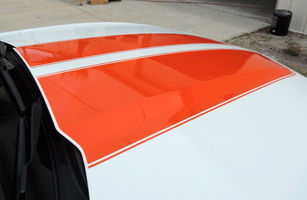 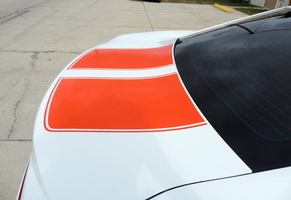 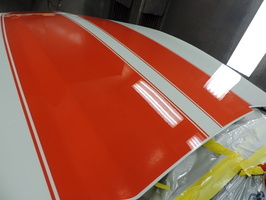 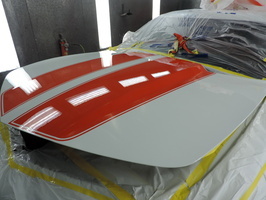 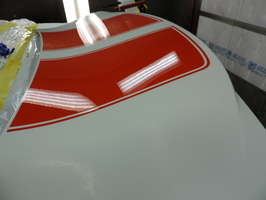 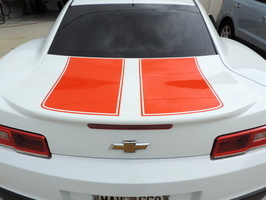 Our customer wanted to have the camaro rally stripes painted on the hood and decklid. 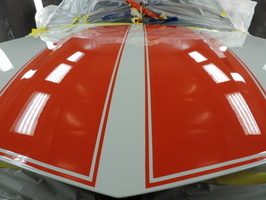 The stripes were hand laid out and painted in Hugger Orange and cleared over. 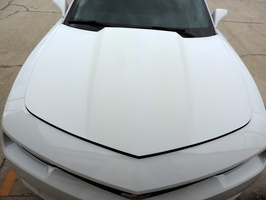 Came out beautiful! 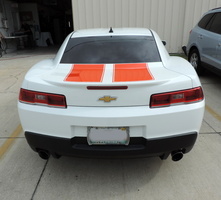 Customer Name: Mike and Billie M.